According to the report by Prime Database, as many as 56 firms collectively mopped up Rs 17,283 crore through IPOs during the April-September period of 2016-17. Indian companies have raised Rs 17,283 crore through initial public offerings in the first half of the current fiscal, making it the highest fund mobilisation in nine years, says a report. "We are now starting to see even larger size IPOs hitting the market. On an overall basis too, pipeline looks promising," Prime Database Managing Director Pranav Haldea said. At present, 16 companies planning to raise Rs 5,745 crore already have Sebi's approval and another five firms intending to mop up Rs 6,810 crore are awaiting clearance from the regulator, he added. This was the highest fund raising since first half of 2007-08, when companies had raked in Rs 21,244 crore through IPOs. In comparison, 39 firms mobilised Rs 4,950 crore in the six-month period ended September 30 in the previous financial year (2015-16). Significantly, of the 56 IPOs, 41 were from the Small and Medium Enterprise (SME) sector. 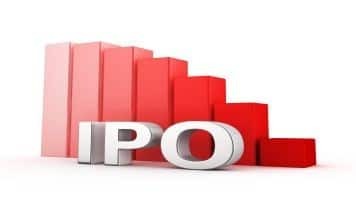 Of the total IPOs, 15 were from main board that mobilised Rs 16,924 crore (98 per cent of the total amount) and the remaining 41 being SME public issue garnered Rs 358 crore. The largest main board IPO was of ICICI Prudential Life Insurance, which raised Rs 6,057 crore, while the largest SME public issue was that of Radhika Jeweltech which garnered Rs 47 crore. The average deal size for the main board IPOs was Rs 1,128 crore. Besides, Rs 4,034 crore was raised through Offer for Sale (OFS) through stock exchange mechanism. Of this, Rs 3,765 crore was raised from the government disinvestment programme.